Dental Implants are surrogate tooth roots. Dental implants proffer a tough foundation for permanent or removable prosthesis (replacement teeth) that are created to match your natural teeth. It is manufactured from the biologically neutral pure titanium which is accepted by the human body. These dental implants offered in Navi Mumbai, Mumbai blend with the jawbone to create a protected foundation for the tooth substitution. 1) Conventional Implants 2) Immediate Implants 3) Immediate Loaded Implants. 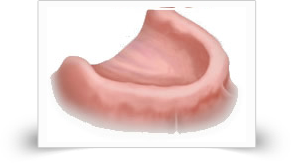 Immediate implants are also known as one day or same day implants. 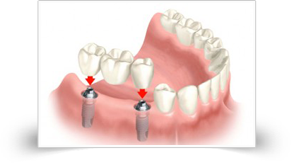 This is the case whereby dental implants can be placed at the same time after teeth are extracted. 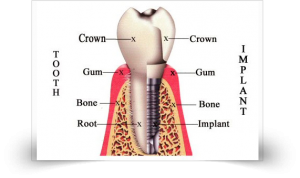 The single tooth implant restoration include three parts, Implant that restore the tooth root, the abutment that support the crown and the prosthetic crown itself. The crown is may cemented onto abutment or held in place with a screw. 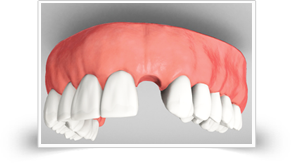 With today's development, there are an assortment of implant systems, models and ranges available. Every line is outfitting the individual's requisites of patents. A single tooth implant with crown is one of the best everlasting restorations. This solution looks and functions akin to a natural tooth. Fixed Bridges anchored to dental implants. With today's technologies, it is possible to replace a full jaw with dental implants and a fixed bridge that results in a permanent, stable and high esthetic solution similiar to having a new set of teeth again. Implant Supported Dentures: Implants facilitate you to wear full dentures (Overdentures) and partial dentures devoid of worrying that they will slip or fall out. Having implants to support these dentures means that the base of the denture can be made much smaller and comfortable. For overdentures, implants with screws placed on the jaw will work as an attachment for a metal bar that will help support a removable denture. At Smile Please dental clinic in Mumbai, our dental implants provide better longevity and enhanced oral health. Dental implant treatment does not cost, as high as usual perception among people and the costing depends on the material utilized in the treatment. To know more about the Dental implants in India, Contact us. Smile Please Teeth Care Pvt. Ltd.
Smiile Please - At Smile Please, we strive to provide a conclusive dental care in Vashi, Navi Mumbai, India at par with the international standards by comprising modern technology in the field of Dental Treatments. "Thank you Dr. Sharad, you have always treated me and my family with sincere care and respect. It is hard to find this quality of care anymore and we really appreciate it. It is what keeps us going to "Smiile Please Dental Clinic." The clinic is very hygienic and doctors here are very helpful. I got my Invisible braces done here and dental Implants for my relatives from America. The treatment was flawless and extremely streamlined. And to my surprise affordable. REALLY nice. Thank you. My son's' invisible braces' treatment was done by Dr. Sharad Kumar at Smile Please and i am very happy with the treatment. He is an excellent Orthodontist and Smile Designer. The clinic is very nice and hygienic. The staff is very friendly and courteous. I would strongly recommend Dr. Sharad kumar as the best dentist in Navi Mumbai, Mumbai. Thank you very much. Excellent work done. Thank you so much Dr. Sharad for your really nice work on my teeth. My experience with invisible braces was great and best results. I will strongly recommend him and the clinic. I have been to many dentist in the past.. but I received one of the best treatment here. Doctors and all the staff members are very polite, humble and professional. Ambience of the clinic is very nice. Being a dentist my smile was not very good, on proper consultation with Dr. Sharad Kumar, I finally got my teeth the way i wanted them to be long back. Now i can smile confidently and boldly. I feel very good about my invisible braces and recommend everyone to do it. trust Dr. Sharad. First of all Dr Sharad Kumar is very friendly person ,he is best counsellor,he thinks from patients point of view , he understands patients psychology and offcourse when it comes to smile designing he is superb in that. Next is the treatment received is reasonable cost wise ,the quality of treatment is better than the cost I paid. Also the staff is very polite and helpful , ambience of clinic is also very good. Happy for the treatment whatever I received. Friendly, proficient and very knowledgeable. Come here for all your dental needs! Got my smile designed by dr. Sharad Kumar and i am really happy. My new crowns look amazing. Thank you very much.